Starkatz recognises that diversification is paramount for the breed. Accordingly, we have established a breeding program which importantly includes outcrossed bloodlines to better gene diversity and support longevity and health within the Burmese breed. 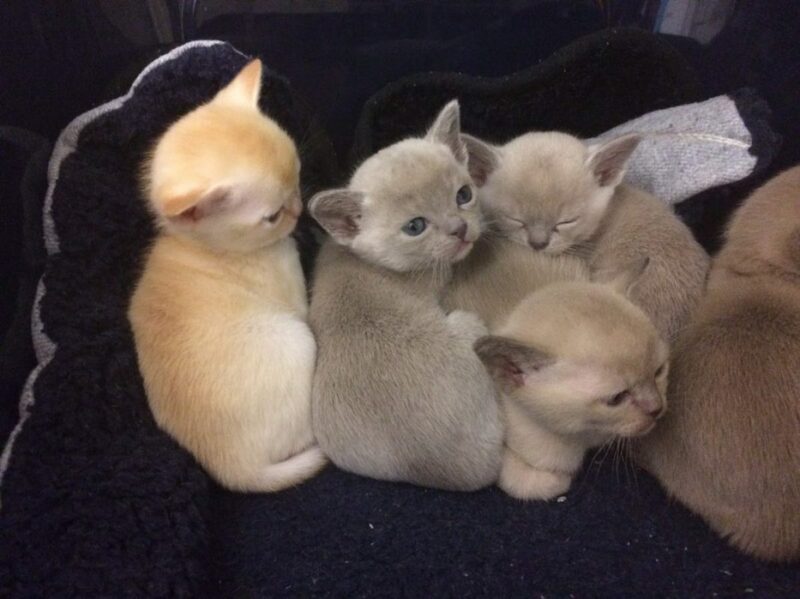 Burmese: These striking, human liking, cats were originally accepted for registration in 1936 but were subsequently suspended in 1947 because breeders attempted to mate Burmese with Siamese. Under pressure, the breed reformed its practices by 1956 whereby 3 generations of pure Burmese became the standard. Once re-instated as a breed, these amiable cats achieved championship status in 1959. All Burmese cats will trace back to their ancestral home of Thailand. Friendly, social, affectionate, sweet natured, playful, and low maintenance ….. Burmese get along with everyone. Especially so children. They will become the centre of your life in no time at all. These lovable packages become exceptional companions and make an ideal family pet. Starkatz Burmese runs a breeding program that strives for Diversification. We only take pedigree derived breeding lines, devoid of relatedness where possible and with no chronic health challenges. To these lines we add selected personable and social attributes, taken directly from trusted and proven bloodlines, to produce a healthy, companionable cat. We believe the results we achieve are readily identifiable as positive traits within our progeny.